Desi, aka Bobbye's Desi, is a handsome 3-year-old dark brindle male with golden eyes. 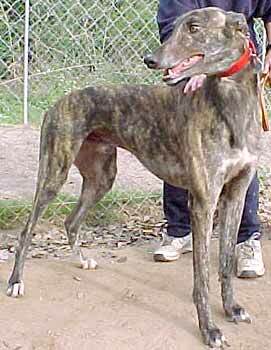 Desi raced here in Texas and retired early due to an injury. He loves attention and companionship, and gets along well with others.